The introductory session entitled “Egypt’s National Public Diplomacy Policies” hosted some of the most renowed thinkers on Foreign and Public Diplomacy in Egypt. Speakers were Minister of Tourism Hisham Zazou, Former Foreign Minister Mohamed Al Orabi and Strategic Expert Sameh Seif El Yazal. 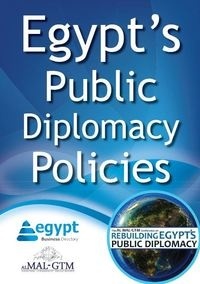 They focused on the current shifts in Egypt’s foreign policies and how Public Diplomacy will play a role in supporting the country’s foreign policies.